I knew that Stella was getting a Kindle for her birthday. Stella is an avid reader and reads daily at school, with me and before bed – so she really wanted one. 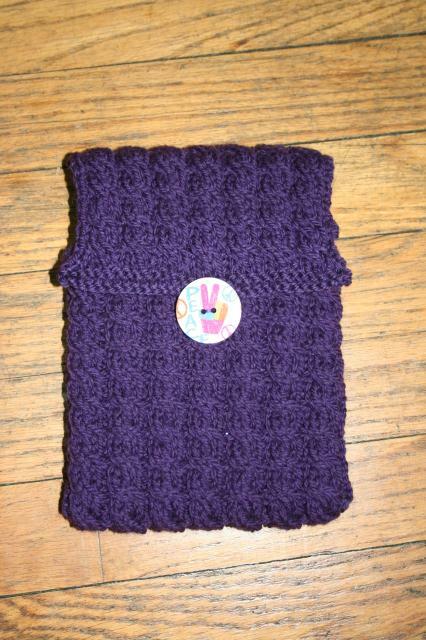 For her birthday and Christmas I like to make her one present – this birthday it was a knitted e-reader cover. 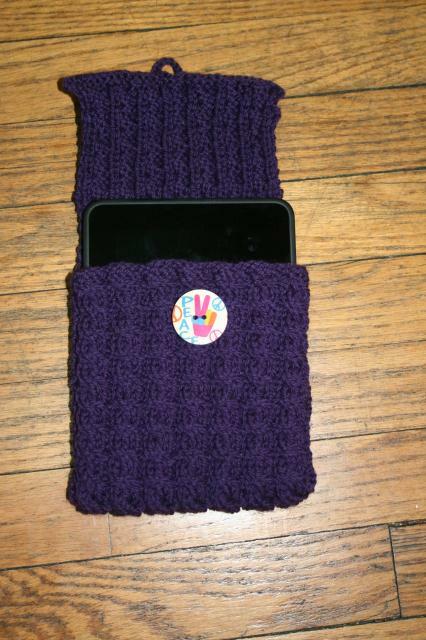 I found one that had a cable in it – and I have never knitted anything with cables. 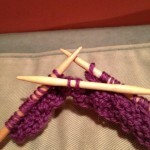 I took a class to learn how to knit cables – they really intimidate me and I am not sure why. 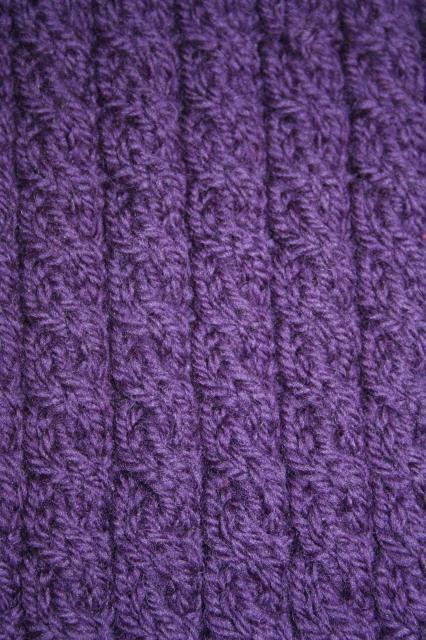 I took the class several years ago and still would not choose a pattern if it had cables. 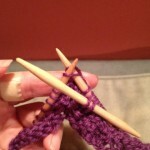 This pattern – I fell in love with – so I had to get over my fear. I started this pattern and about half way through had a panic moment! The new Kindle fire is bigger than the old kindle – yup, I had to start over. 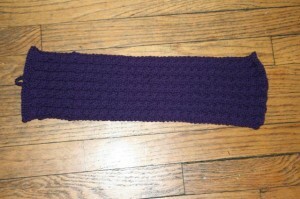 I think with the partial cover already made it is going to turn into a purse for a Christmas present for one of my nieces. 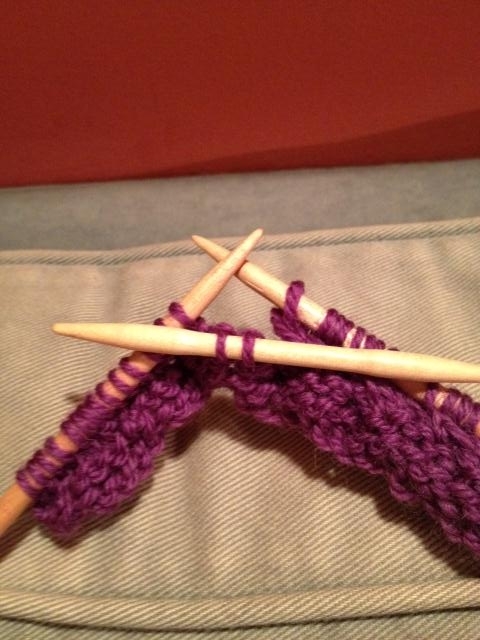 So I started over, using another yarn and away I went. 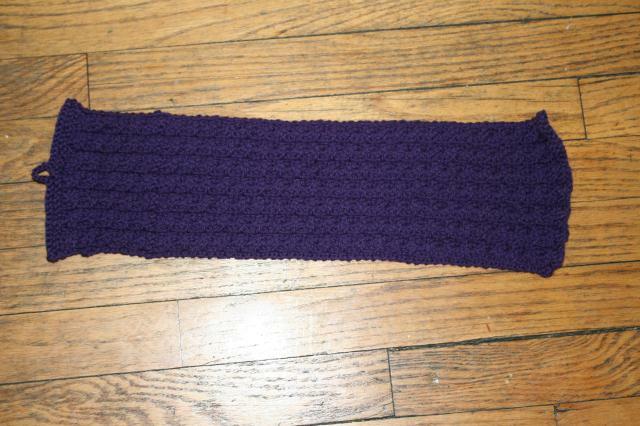 I finished it at midnight the night before Stella’s birthday – well not really – I still needed to crochet the loop for the closure. 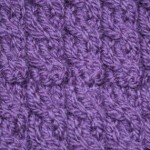 I don’t know how to crochet – I have a DVD and have spent a lot of time with a friend who crochets and for some reason I cannot pick it up. My crochet friend had to come over to make the loop for me and of course I watched, again!! 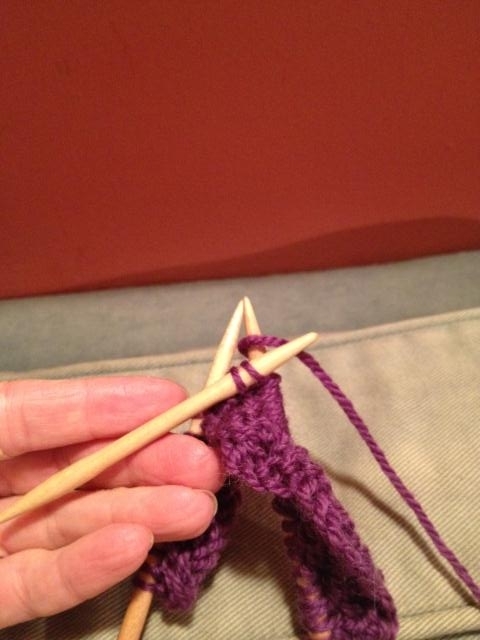 M1 = make 1, increase: Lift strand between needles to left-hand needle and knit strand through the back loop, twisting the stitch to prevent a hole in the fabric. 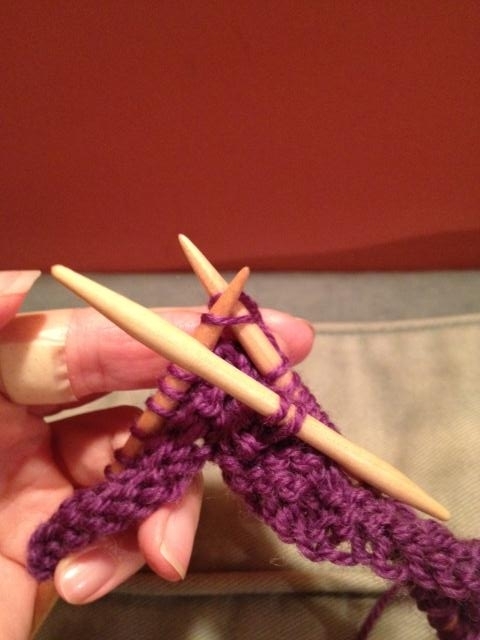 Cable: Uses 4 stitches, slip next 2 stitches onto cable needle and hold in front of work, K2 from the left needle and then K2 from the cable needle. 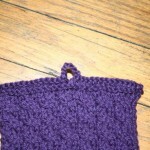 Repeat rows 4 – 7 for pattern until Body measures approximately 13.5″, ending by working a right side. 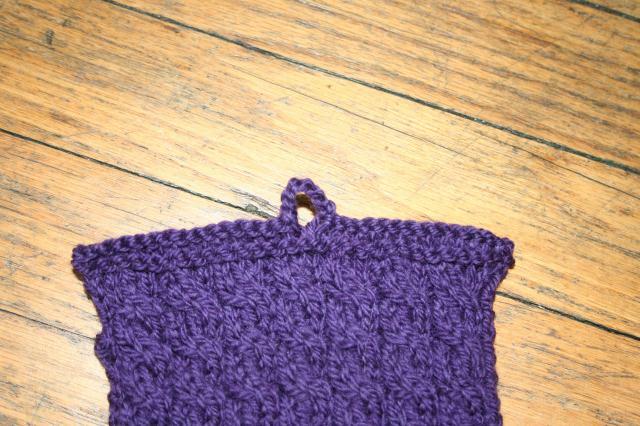 Row 25: Bind off 14 stitches, slip stitch from right needle onto crochet hook, Ch8 (toggle loop made), slip stitch from crochet hook onto right needle, bind off remaining stitches in knit. 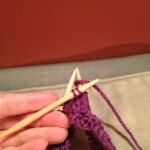 Thread a darning needle and with right sides together sew side seams. Turn the cover right side out, fold over flap and sew button on. 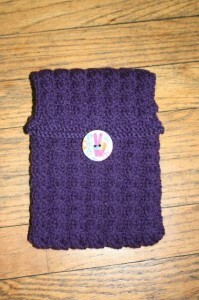 This entry was posted in Crafts, Knitting and tagged e-reader cover, knitting pattern. Bookmark the permalink. 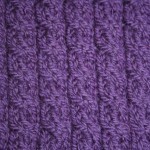 This looks great but why ever would you choose purple for Stella – ;)! I love mine and like that it stretches to hold my light and stylus. It looks great and I am sure Stella loved her special color!! !